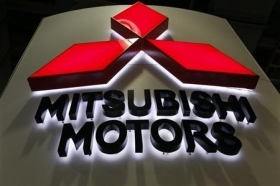 TOKYO -- Mitsubishi Motors' market value and Japanese orders have halved since it admitted last week to rigging fuel economy tests, but with more than $4 billion in cash and low debt, the automaker should contain the potential damages. Demand for Mitsubishi cars has weakened, particularly at home, where the maker of the Outlander SUV and Delica minivan sold just 102,000 vehicles in the year through March, half the number it sold less than a decade ago. With annual sales of around 1 million vehicles, MMC is a minnow in the global market, and has surrendered market share to rivals including Honda , Mazda and Hyundai. A nagging concern for investors had been whether Mitsubishi Motors also rigged data for cars sold in the U.S. While MMC sold fewer than 100,000 cars there last year, it's a more litigious marketplace and could have meant significantly higher damages. The company says mileage ratings on its U.S. vehicles were correct. Mitsubishi's balance sheet shows it has cash -- 453.4 billion yen ($4.23 billion) -- to cover potential costs, and with debts of just 27 billion yen and no outstanding term loans, it has room to borrow if necessary. Its shareholder equity to assets ratio, at 48 percent, has grown steadily. Mitsubishi Motors has prioritized bolstering its finances since previous scandals involving hiding customer complaints and secret recalls led to the arrest of former executives, and its bailout. That may have seen governance and compliance take a back seat. Analysts estimate Mitsubishi Motors could have to pay close to $1 billion to compensate Japanese mini-vehicle customers for "eco-car" taxes and extra fuel costs. Mitsubishi Motors produced 202,000 mini-vehicles in the fiscal year ending in March, of which around 144,000 were for Nissan. MMC has said it has stopped making the four models affected by its test rigging. A year's production halt could cost it up to 250 billion yen, analysts estimate, in addition to any compensation payments to Nissan for lost sales. The next question the automaker needs to answer is whether its fuel economy claims for cars sold elsewhere in Asia -- accounting for a third of its total -- were legitimate. Asia, ex-Japan, sales have risen from around a fifth four years ago as Mitsubishi focused on selling SUVs and trucks in emerging markets.